Walking through the Richard Childress Racing shop, Daniel Hemric can feel the shift in the atmosphere. A sense of rejuvenation that comes with change. 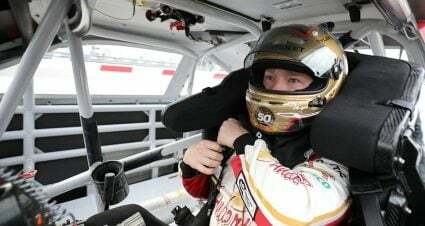 Richard Childress Racing has seen plenty of that; the Welcome, North Carolina, team announced Hemric as a new Monster Energy NASCAR Cup Series driver to pilot the historic No. 8, made famous by Dale Earnhardt Jr. 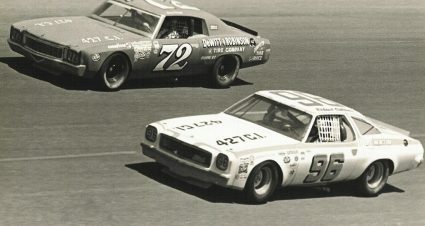 The team will also celebrate its 50th anniversary in NASCAR in 2019, which will be commemorated with a special exhibit titled “RCR 50: Only in America” at the NASCAR Hall of Fame beginning in May. “It’s a complete rejuvenation for the entire organization from what I can tell,” Hemric said Wednesday, following the team’s 50th anniversary exhibit announcement at the NASCAR Hall of Fame. “I’ve been in the shop a good bit, preparing for the obstacles that are going to be ahead that we‘re all going to have to face. To see the morale, it‘s unbelievable. 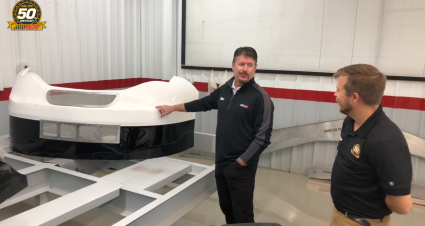 Not that the 31 was ever anything to look down on at RCR, but … it’s change and people embrace change and I feel like I’m trying to do the same thing and I know the folks at RCR are doing that and when you have something like that, it’s all good. 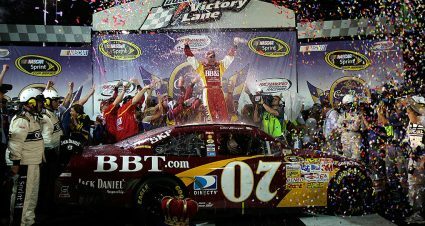 Team owner Richard Childress, who has overseen his namesake organization since its inception in 1969, called the team’s rejuvenation a “bounce in their step,” as it heads into its 50th year of racing. 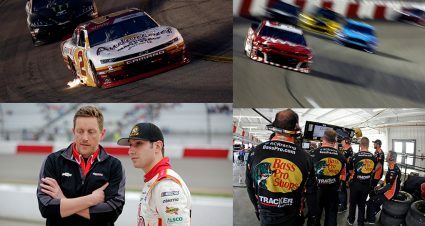 In its 50-year existence, Richard Childress Racing has housed many premier drivers, including Kevin Harvick, Clint Bowyer and, perhaps the team’s most famous wheelman, Dale Earnhardt. “The Intimidator” is one of the reasons a young Hemric became an RCR fan years ago. The young driver knows and appreciates its history as he looks to make his own history in the No. 8 Chevrolet — which he laid eyes on for the first time in Wednesday’s event. “Today was the first time seeing it,” Hemric said of his gold car. “I actually went to RCR yesterday and just posted, ‘Hey, I get to go see the car for the first time.’ I get there and it was already gone.